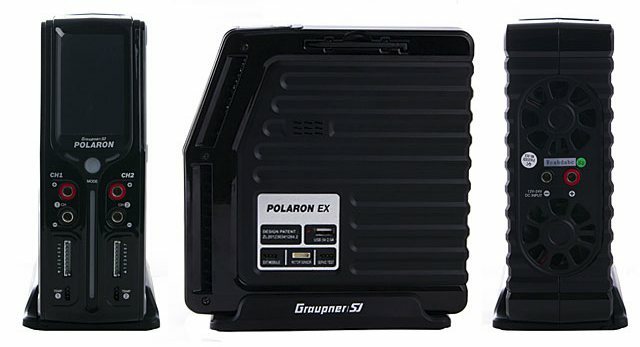 The Polaron Pro Multi charger is Graupner's brand new microprocessor-controlled, two-port battery charger with built-in testing & programming functionality and high-power battery charging technology. 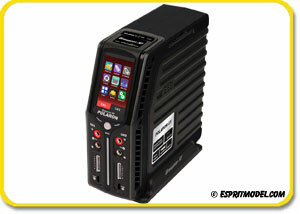 Fully capable of charging all types of high amperage batteries. 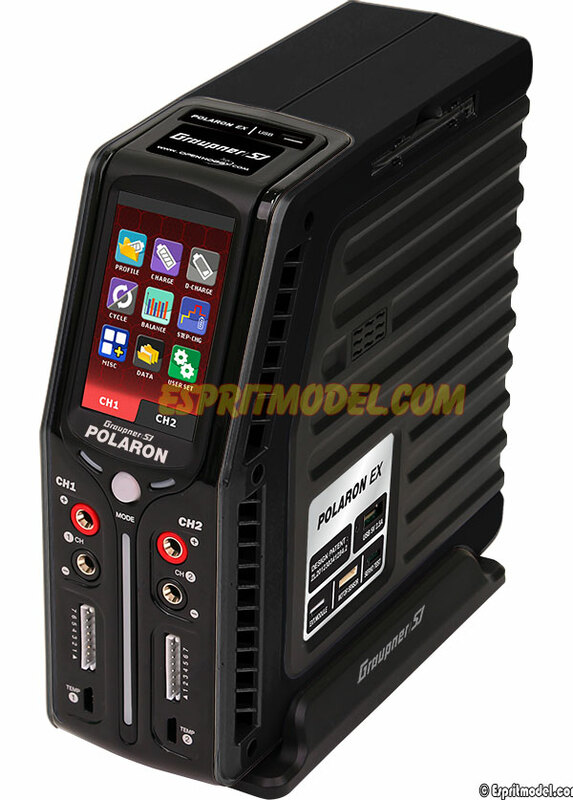 Polaron Pro features two independent 30W and 500W power outputs with addition of USB 5V/2.5A charging port. 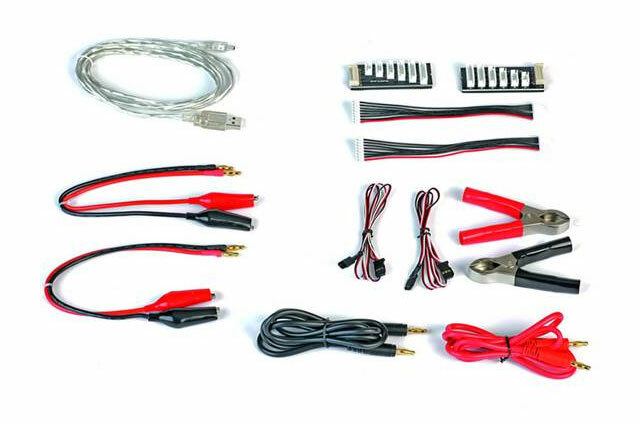 Main port charges at up to 20A and discharges at 0.1-10A, offering the perfect solution for batteries of all common chemistries, including 1-14S Lithium (LiPo, LiFe and Li-Ion), 1-32 cell NiCd/NiMH and 1-12 cells lead acid packs. Additional features include internal cell balancers, high contrast, touch sensitive, color LCD displays and important warning and safety functions. Designed with a stylish space saving, vertical case, the Polaron Pro offers pro level drivers and pilots the most powerful dual-port charging capacity on the market. Polaron Pro is equipped with a touch sensitive 3" graphic LCD screen and specialized touch keypad, it's a brand new experience in the field of battery charging.